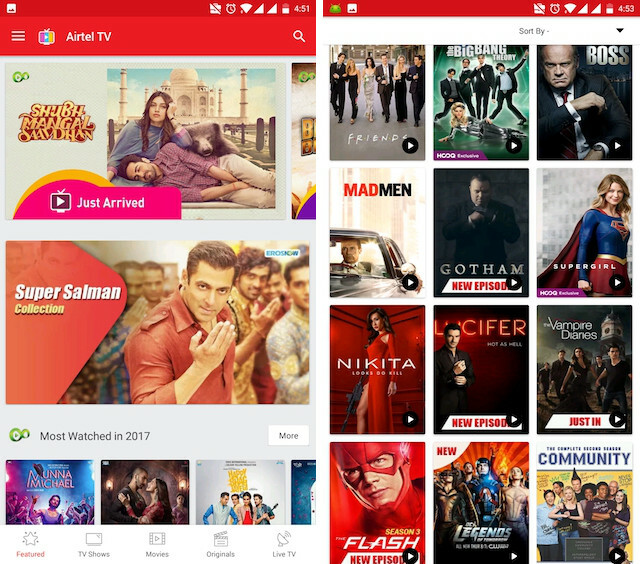 India’s largest cellphone connectivity provider, Airtel has just announced the launch of a revamped version of its Airtel TV app. The new app which now features a redesigned, fluid, and user-friendly interface is available to download and use. As a launch offer, Airtel is also providing a free subscription to all its prepaid and postpaid customers until July 2018. The app is currently available for both iOS and Android now offers content in 15 languages including English, Hindi, Punjabi, and Bengali to name a few. If you are an Airtel customer, now is the right time to download the app and enjoy all its content to your heart’s desire without paying a dime.